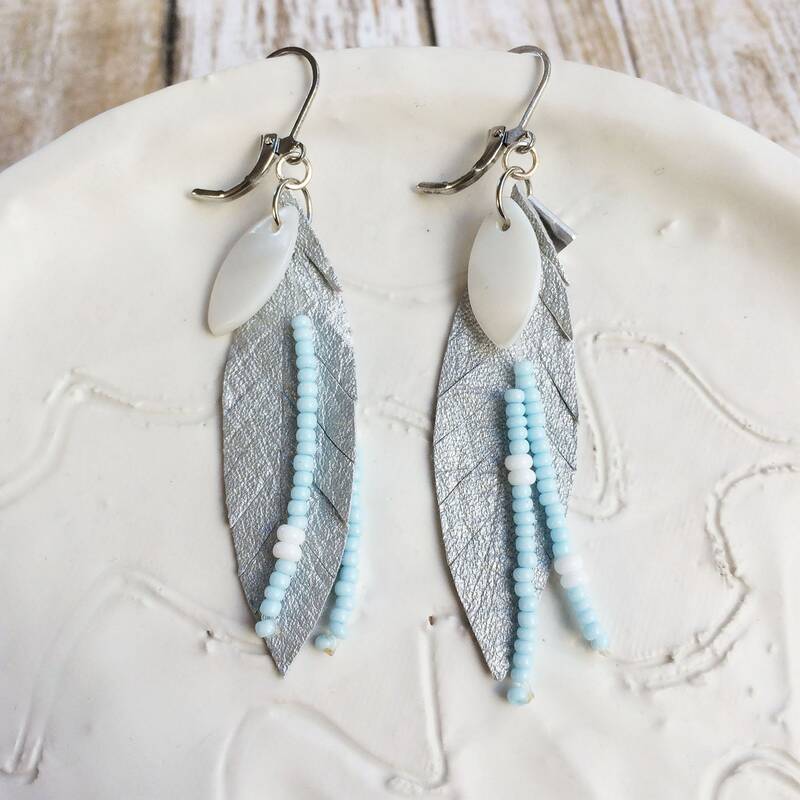 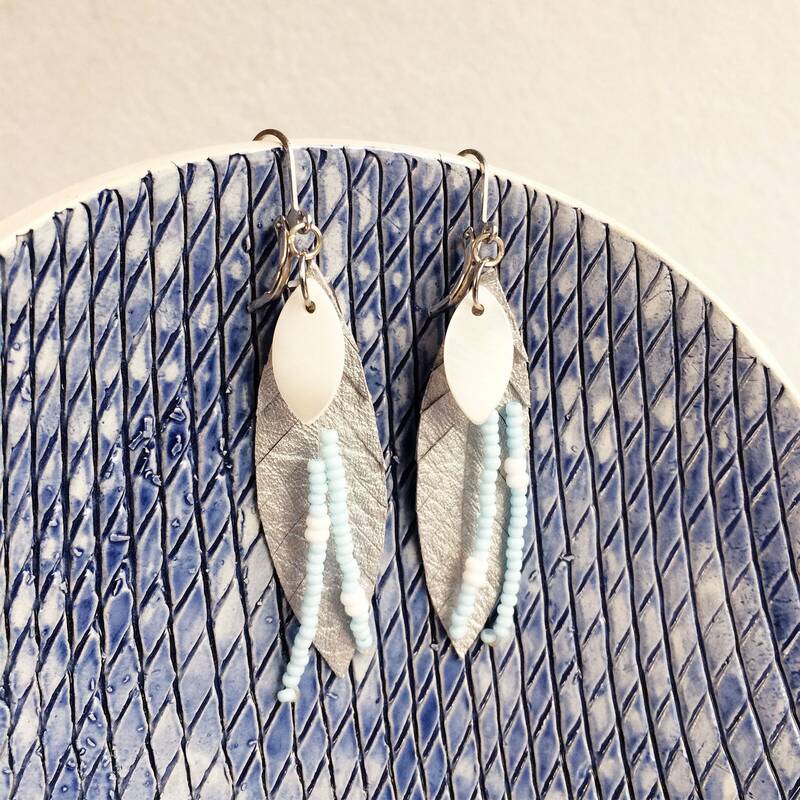 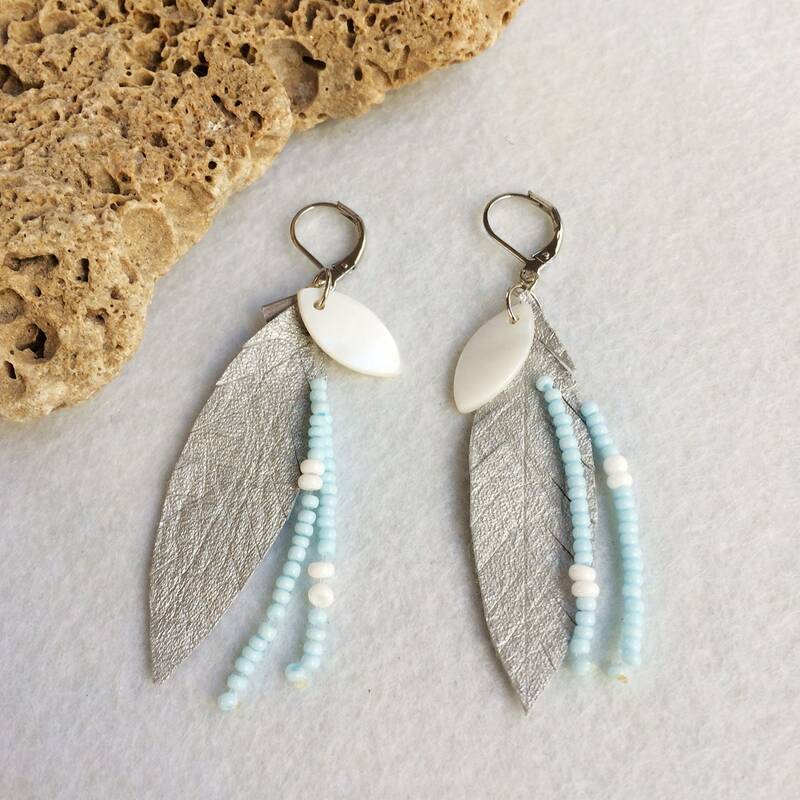 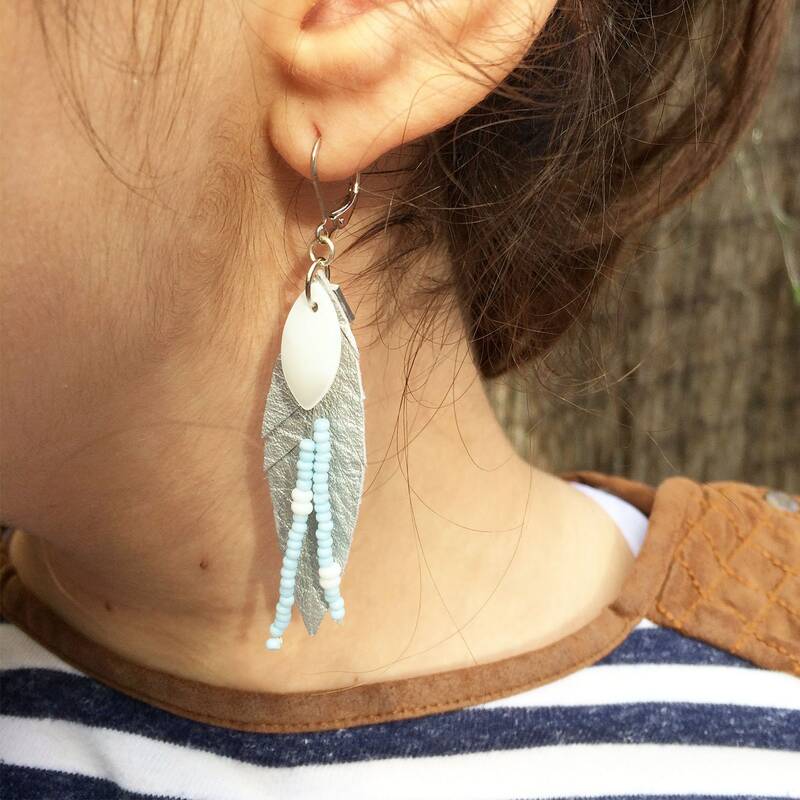 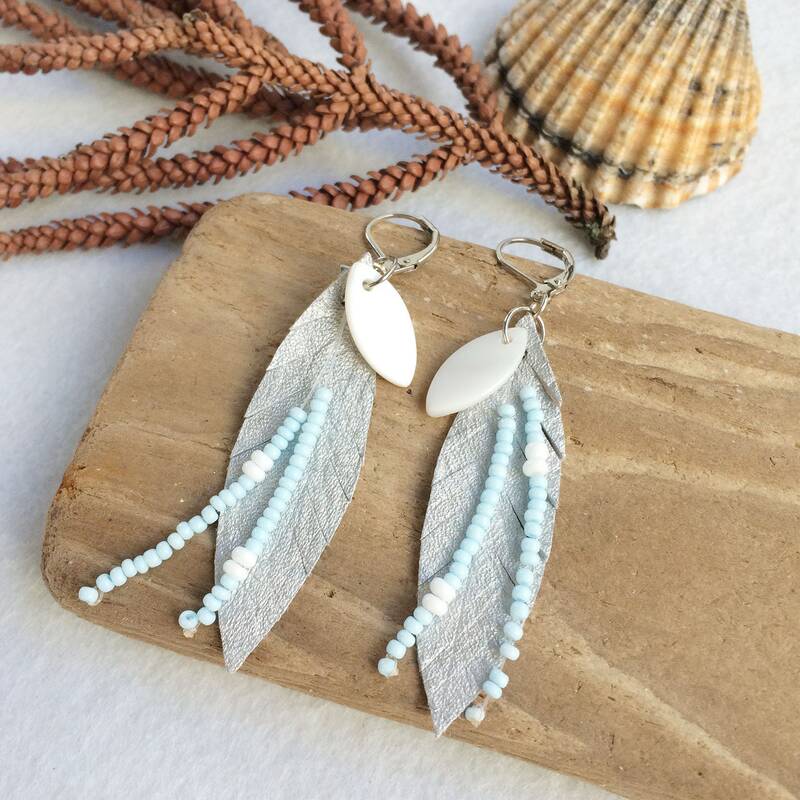 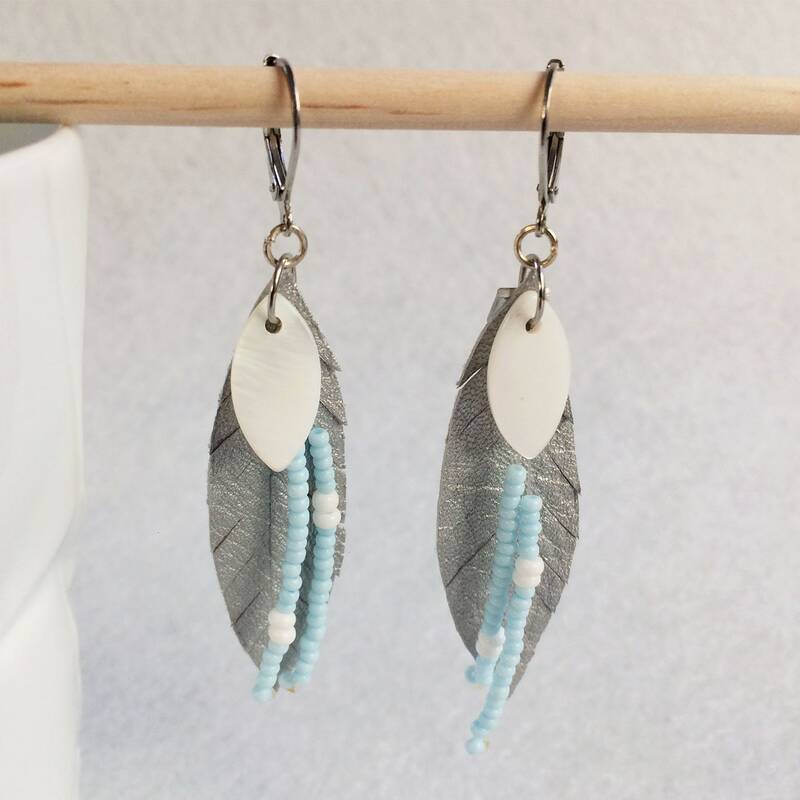 Long earrings shaped like a feather in silver leather. 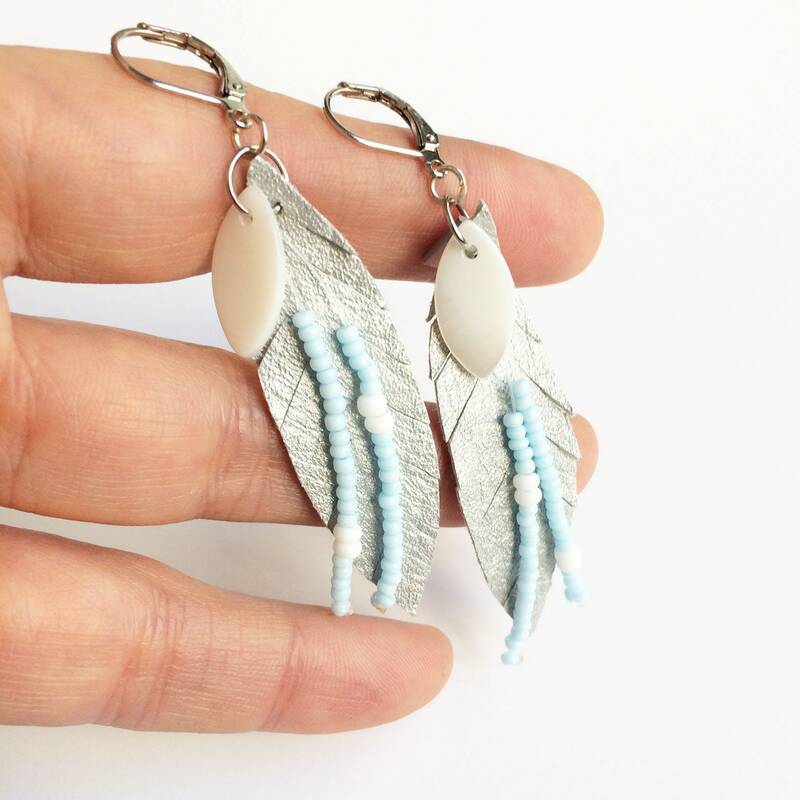 Seed beads fringe and mother-of-pearl leaf shape. 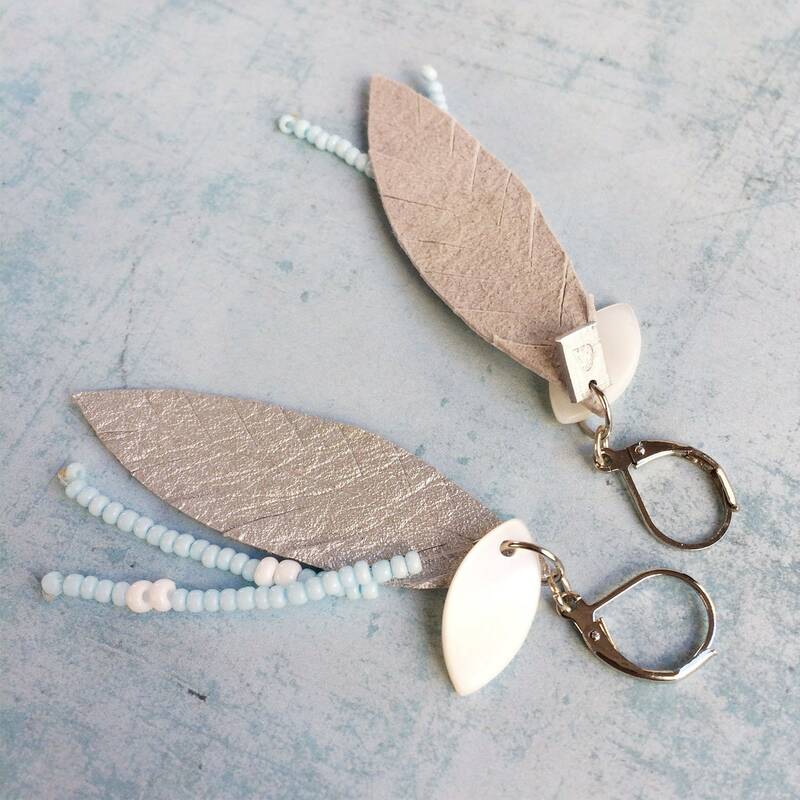 Silvery metal leather, seed beads and mother of pearl. 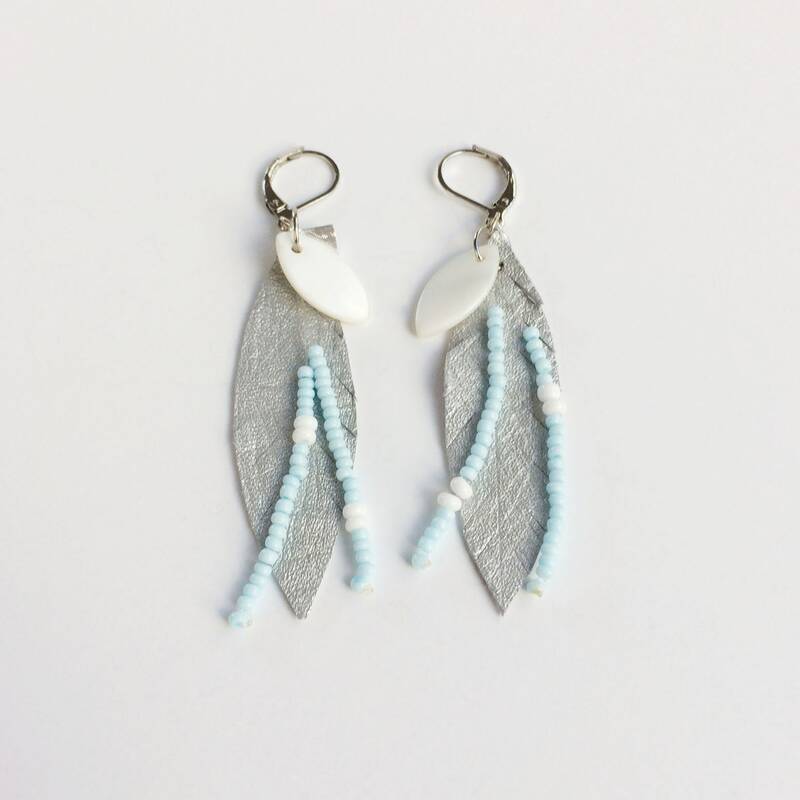 Silvery, white and light blue.